Here’s a statistic I didn’t see coming. 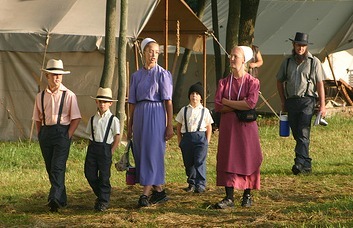 According to a report in Pennlive.com Latinos have surpassed the Amish in Lancaster County, Pennsylvania, which is considered the geographic center of the US Amish culture. These (Amish) people trace their heritage back hundreds of years, and yet, despite all the time that has passed and the many changes that have taken place in society, they still live and work much as their forefathers did. Their families and their farms are their top priorities, second only to God. According to Elizabethtown College there are 30,000 Amish in Lancaster County, where the bulk of the Amish make their home. Here’s what makes this story difficult to track down: The US Census does not track the Amish in Lancaster County. But an Amish Studies center at Elizabethtown College does. The Census did count Latinos in Lancaster County and came up with a total of 45,000; a 68% increase in the past 10 years. The county boasts two Spanish-language radio stations and a newspaper. Stop at a nearby fast-food joint, and the staff that waits on you is bound to be completely Latino. Latinos have established businesses and cultural networks, securing positions on City Council and leadership of the school district. The Lancaster General Hospital website offers Spanish translation, and the city is home to the only officially Latino-designated Catholic parish in the Harrisburg Diocese. In Lancaster City, the report says, 2 out of every 5 residents identify themselves as Latino, and they are quickly becoming an integral part of the fabric of the community. What I find extremely interesting about this story is how easily it seems that Latinos have been able to integrate themselves into the general society and culture. But it makes sense, because that part of the country is used to accepting the presence of a cultural group that differs from their own. I think there’s a lesson of tolerance to be learned here. Lancaster City Mayor Rick Gray said the Latino community has unwittingly contributed to the discourse on tolerance. 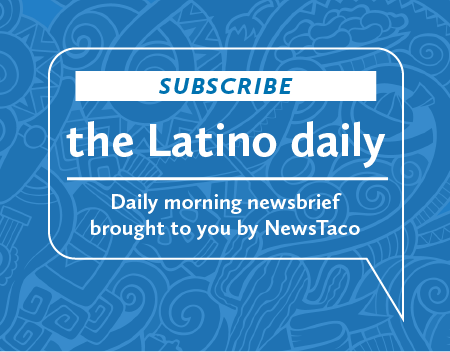 Wolfe said that unlike the cloistered Amish, Latinos are actively engaged in the community and can at times buck up against biases and prejudices.